Nice Work! When entering We Olive Pasadena, customers are greeted by the welcoming smiles of We Olive staff and the intoxicating aromas of locally sourced olive oil, vinaigrettes and wines. Owner Ervin Galvan is extremely passionate about the company’s quality products and providing local residents with healthy and delicious foods. But these products are not the only thing Galvan is passionate about; he is also dedicated to supporting the flourishing community around him. The company is constantly working to engage the residents of Pasadena and doing what they can to provide support. To Galvan, doing well and going good go hand in hand. Galvan expresses in the “Our Neighborhood” blog that “Pasadena is an excellent home for We Olive because our values directly reflect what this city is all about. 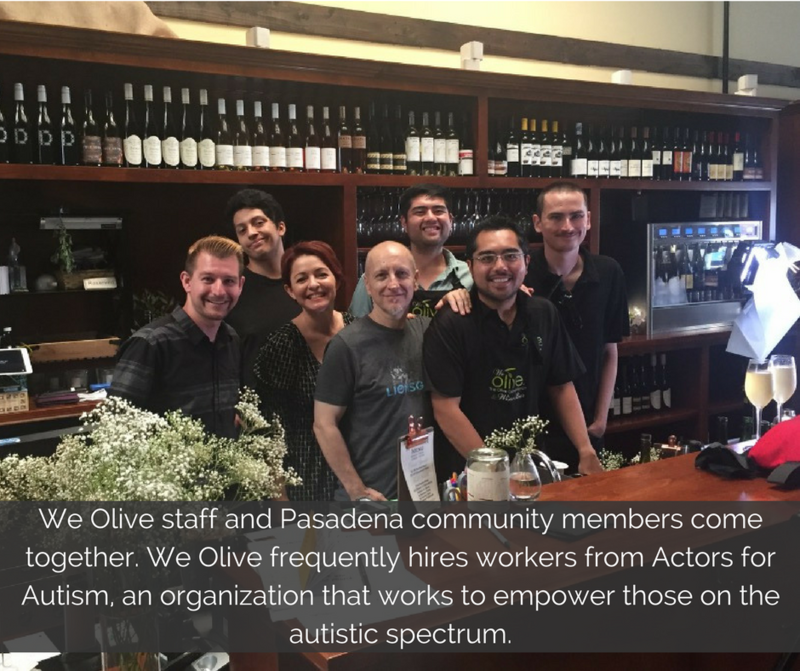 We focus on being involved in the community, providing a comfortable and educational atmosphere for shoppers, and an experience that is unique and exciting.” We Olive of Pasadena translates this community passion into initiatives that strengthen the city as a whole. One such event is We Olive’s Sunday Yoga and Mimosas. 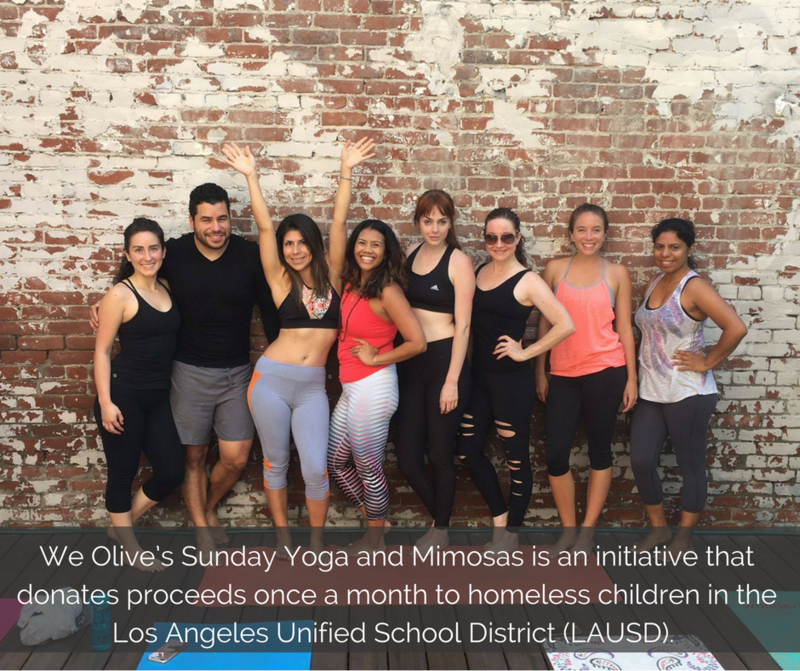 This initiative, put on in partnership with Lili yoga, donates proceeds once a month to homeless children in the Los Angeles Unified School District (LAUSD). This program supports 13,000 homeless students in in the LA area and works to maximize access to educational, social and enrichment programs for students. The company also works to support organizations doing good work in Pasadena. Galvan has made it his mission to support those most in need of kindness. He frequently donates goods to local organizations including the Pasadena Humane Society, Outward Bound Adventures, and Friends in Deed which provides supportive services to homeless and at-risk Pasadena residents. Galvan is always on the lookout for new opportunities to get involved in the community. Though Pasadena is their focus, the company also gets involved in national disaster relief causes outside of the community. We Olive Pasadena contributed to the Louisiana Flood relief efforts last year. They held an incredibly successful Mardi-Gras event in 2016 to aid those heavily impacted by the flooding in that region. Most recently, Galvan held a fundraiser weekend in response to the growers who were affected by the devastating fires in Northern California. Businesses like We Olive Pasadena are leading examples of Capitalism with a Conscious. 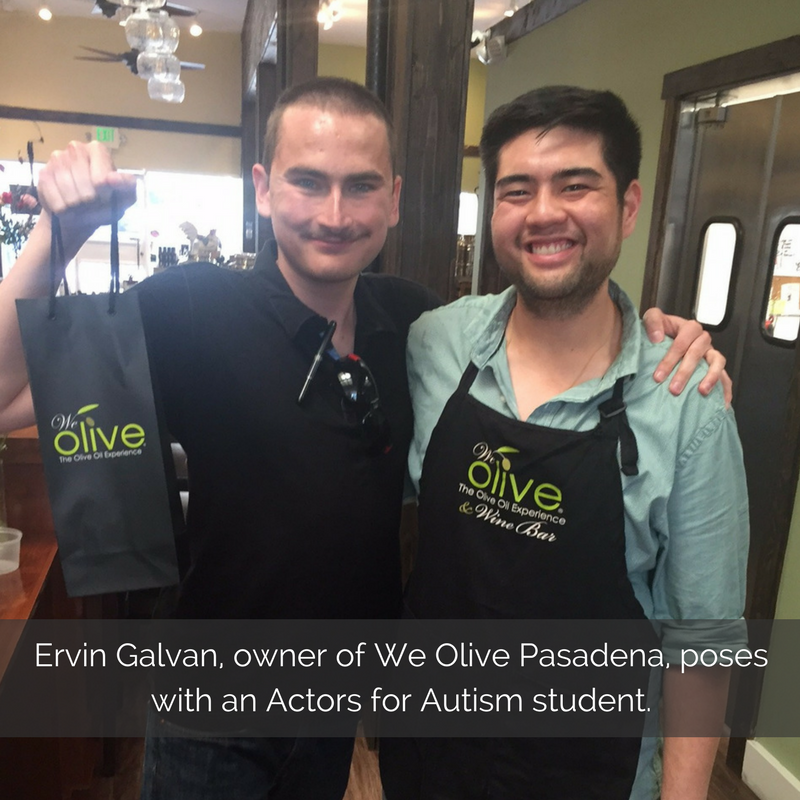 Be it large initiatives responding to natural disasters or involvement with local nonprofits such as Actors for Autism, We Olive Pasadena is an agent of positive change. If you or those you love are in the Los Angeles/Pasadena area, stop on by and experience the kindness of We Olive first hand. Not in Southern California? Cultivate kindness within your communities and nominate other Kind Businesses supporting local development!